2. Food served to all, regardless of caste, race or religion; a gesture of equality. 1. The well-being of all. 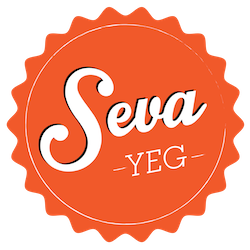 Seva Food Truck is a charity initiative founded by the Sikh community to tackle the issues of food insecurity and poverty burdening individuals in the greater community at large. We aim to provide services to individuals and communities without judgment, stigma or discrimination, through dignity and respect. Our basic tenet is to apply the teachings of Seva and Langar to the real world. Too often are these beautiful, global concepts confined to the basements of our Sikh temple (Gurdwaras). We do not believe in imposing views, nor do we believe in proselytizing individuals, for these are not the teachings of our Gurus. We believe in humanity, community and the well-being of all. We, as Sikhs, believe that we needn’t preach our values. We must let our actions speak. Join us for the sandwich prep on May 4th, contact us for details on becoming a volunteer.